Our soul is, in reality, free, joyous and powerful spirit. But in our present egoic state – i.e. in which our soul identifies with the body and in which we perceive ourselves as “John” or “Mary” – it is as though we had built an egohouse around our spirit, complete with walls and roof. In this way, it receives much less of the Sun’s vitalizing light. This house with its walls and roof separates us from our source of power, which means that, despite our efforts here on earth, we remain all too human and, as humans, are weak. Our personal efforts alone will never suffice to save us from the consequences of our failings, or to raise us into the realm of Spirit. In short, we need the help of the Sun’s light. This powerful light of the sun is God’s grace. 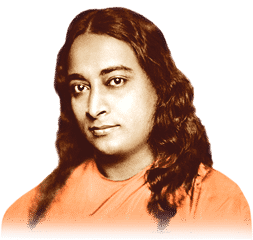 In fact, according to Yogananda, the spiritual path is 25% self-effort, 25% the blessings of one’s Guru and 50% the grace of God. Divine grace, then, is of supreme importance for us all. The indispensable requirement for receiving it is our love. But that love, as we shall see in this article, can be effectively deepened by yoga techniques, which help us to receive God’s grace in greater abundance. Throughout his life, Swami Kriyananda taught that “yoga is cooperation with grace”. This inner cooperation is actually the very essence all yoga techniques and, indeed, of the entire yogic science. Grace, the Masters teach, is not some capricious divine favor. Yes, it is the gift of God’s blessing, but it is one that we can consciously draw on by using specific yogic practices. Grace, far from being God’s whim, relates to His law of love and receptivity. It flows (both momentarily and constantly) into all those who have inwardly learned how to receive it. Yoga techniques teach us how to open our inner curtains, so to speak, to the sunlight of grace, which perpetually shines upon us. But where are these curtains that we have to open? We won’t find them on the ground floor of our inner house. Grace shines through the skylight in our inner “roof” and, consequently, we need to go upstairs. In other words, our job is to elevate our energy and consciousness if we want to receive the light of grace. During all the techniques suggested by Yogananda, the eyes are constantly raised in order to elevate our consciousness toward the skylight. All the techniques take us “to the roof”, because only in an elevated state (of the soul) are we able to open our curtains and let the sunlight of God’s grace enter. 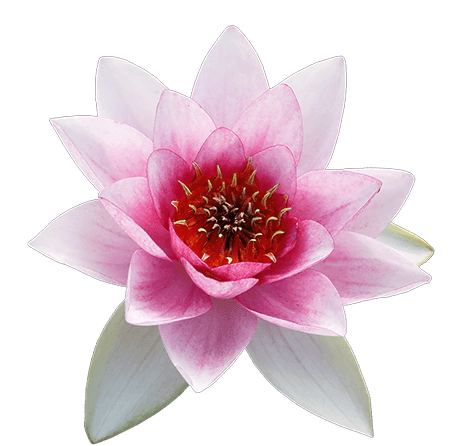 Studying Yogananda’s and Kriyananda’s teachings, we realize that grace, or “God’s power”, flows in two directions. The first direction is outward, from God toward the world. Consider this: we are living solely by His grace at this very moment. We unconsciously exist, act and breathe by virtue of His grace all the time, and His grace “accomplishes everything that we achieve in life.” The more we elevate our consciousness, however, the more we can become aware of that grace, learning how to become channels of it. The great masters and saints are our role models as they were powerful channels of God’s grace flowing outward into the world. In the Bible, St. Stephen (the first Christian martyr) provides an example: “And Stephen, full of grace and power, was doing great wonders and signs among the people” (Acts, 5:6). We are encouraged to do likewise: “Each of you should use whatever gift you have received to serve others, as faithful stewards of God’s grace in its various forms” (1 Peter 4:10). To understand these two directions, think of the sun: on the one hand, its nourishing sunrays stream outward toward all creatures, who receive the gift gratefully. On the other hand, its mighty gravitational pull attracts everything inward, back into itself. There is a story of two great –but strange– yogis in India. One of them kept his arms constantly extended upward to the sky, chanting everywhere he went: “God’s grace, oh God’s grace.” The other yogi chanted that very same song, but constantly kept both arms extended forward in blessing. One day the two yogis met and were appalled by each other. The one with the arms extended upward exclaimed: “What is this bizarre gesture of yours all about? God’s grace takes us inward, lifting us up into His light.” The other, who had his arms extended forward, replied: “What kind of weird yogi are you? God’s grace blesses others outwardly, through us.” A heated argument ensued. It was a rather curious scene, with agitated arms brandished ever more upward and ever more forward. Fortunately, at that moment, Lord Krishna appeared and smiled: “O great souls, be at peace. From today onwards, both of you shall hold one arm up, inwardly soaring toward Heaven with divine grace. And let your other arm be extended forward, outwardly sharing divine grace with the world.” The two yogis followed his advice and soon entered into a state of boundless grace, living in it blissfully ever after. So, dear reader, if you should happen to meet an unusual yogi with one arm extended upward and the other forward, you’ll know precisely what he is up to! 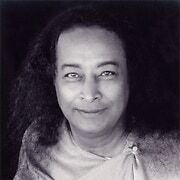 Grace, as Yogananda explains above, “doesn’t come to us from outside”, but operates “from within”. In our body, just as in the universe, we can discover two currents of grace. One is a current of upward rising energy, which carries us toward the inner sun (the sun in our body is the spiritual eye). We all instinctively know the feeling: when we are uplifted, as if on wings of inspiration, and automatically look upward. When this upward current becomes strong, it becomes a river of bliss. In meditation, if the meditator is deeply interiorized, this upward flow of grace in the spine carries him to the paradise of divine union. A light may appear, or divine love may be felt, or there may be a feeling of expansion, or a sound may be heard. This must have been the experience of John Newton, when he wrote the famous song, Amazing grace, how sweet the sound. It was the sound of grace, which he perceived during a state of divine inner upliftment. The second current of grace flows in the opposite direction, i.e. “downward from above”, from the inner sun (spiritual eye) into the body. And again we all know the feeling. It is the feeling we have when we automatically turn our palms up, to receive a descending flow of blessings. It is the sensation experienced in all spiritual cultures throughout the world; the sensation of receiving a cascade of God’s grace from above, which enters into us, filling us. Yoga techniques, as we said, are designed to help us cooperate with grace, but how? Kriya Yoga is the technique par excellence for cooperating with grace, if it is practiced with love, first offering ourselves upward to God’s light, cooperating with His ascending current of grace, and then receiving His blessings through the downward current of grace. Kriya Yoga might, therefore, well be called Kripa Yoga, “the yoga of grace”, as it truly helps us to flow with God’s grace. Also try Ananda Yoga! Specific asanas help us to cooperate with the upward flow of grace, directing the divine current up the spine to the spiritual eye, to our inner sun. To feel the desired effect, let your posture express God-love as you deeply tune into the affirmation. This effort to direct our life-force upward is actually one of the main purposes of the yoga postures. Swami Kriyananda explains: “The general aim of Hatha Yoga is to use the body to push, or gently nudge, the energy upward toward the brain.”(7) How to do that properly is important, but is beyond the scope of this article. So during this upcoming month, when we sit in meditation, let’s go straight to the skylight of our inner house and open wide the curtains. As we progress, the promise is that we will even learn how to exit the house (ego consciousness) altogether. The exit door is the skylight. Then we shall enjoy the full splendor of the sun, play in it and live as God intended us to be: entertained, joyfully free and forever basking in the light of His grace. Let’s not wait for that glorious moment to come in the future, but rather let’s experience this state of grace here and now. Sit up and, in meditation, look upward, toward your inner skylight. Visualize yourself already receiving the bright light of grace as it flows through you as the vibration of AUM, the Holy Ghost or Divine Mother, and purifies you completely. To deepen this state, listen to and identify with the words of Swami Kriyananda as he recites one of Yogananda’s Whispers From Eternity. Turn up the volume and press the repeat button, immersing yourself deeper and deeper in that blessed state. (1), (12) Yogananda, The Essence of Self-Realization, ch.11, Saying 4; Saying 14. (2), (4), (13) Kriyananda, Rays of the Same Light, Vol.3, p.77; Vol.2, p.75; Vol.2, p.75. (3) Kriyananda, The New Path, p.346. (5) Kriyananda, The Promise of Immortality, p.105. 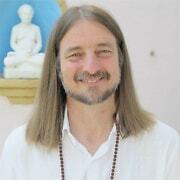 (6) Kriyananda, God Is For Everyone, p.185. (14) Kriyananda, Awaken Into Superconsciousness, p.184. (7), (8), (9), (10) Kriyananda, The Art and Science of Raja Yoga, p.216; p.303; p.229; p.255. (11) Yogananda, East-West Magazine, Oct. 1933. This was just wonderful. Thank you do much. 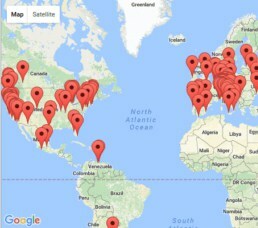 Thank you Dambrara. You are always so kind with your comments. So much depth and inspiration in this article which greatly helps me to look at all our sadhana practices with new eyes…I’m going to print this and have handy for my sadhana! Even though I’ve heard the term “Cooperating with grace”, I’ve never quite understood how to “live” it…your words of wisdom and tying it altogether with Master and Swamiji’s guidance is of tremendous value to us all. Thank you for this inspirational article! It is full of such wisdom. You have inspired me to use grace more and more in my life (and to give it freely to others) Thank you dear soul. Dynomite message, Jayadev…and perfect for me this morning. Jayadev, what a dynamic article, thank you so much!